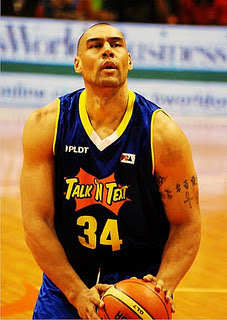 Ali Peek, who currently plays center for the Talk n’ Text Tropang Texters in the Philippine Basketball Association, was shot in the neck Monday evening, ABS-CBN reported. According to the report, the PBA player was attacked by an unidentified gunman at around 7 p.m. after working out at the RFM gymnasium in Mandaluyong. Talk n Text head coach Chot Reyes, meanwhile, said that Peek is "conscious" and now in "stable" condition. "Ali Peek was shot by an unidentified assailant in d parking lot of RFM gym at around 7pm today. He's conscious & in stable condition now," Reyes tweeted. "The Talk N Text family asks d public to respect their privacy at this time. Further details will be released as they become available," Reyes added.